Established in the year 1994, we, “Chitra Insultec Pvt. Ltd.”, are an ISO 9001:2008 certified organization is dedicated to offer efficient solution for the protection of building surfaces, and allied construction & industrial solutions. 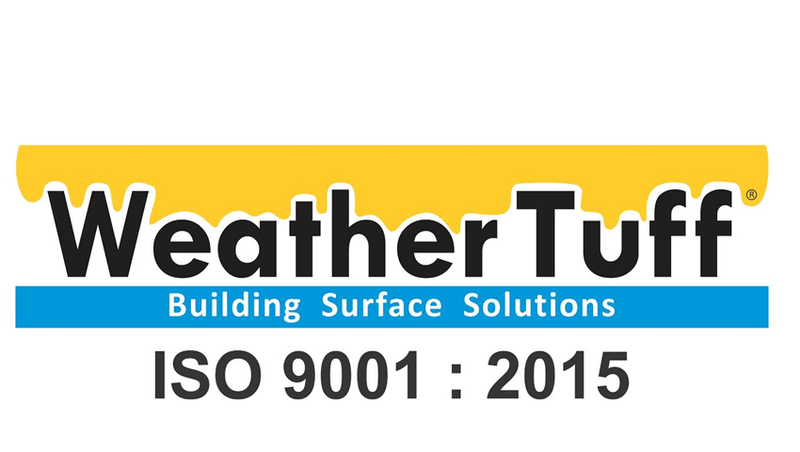 Its brand Weather Tuff is synonym for quality, high functionality and protective covering. Committed to environmental protection, product quality, safety and technology advancement, the company is a major Manufacturer, Exporter, Importer of UV Resistance Coating, Wall Primer,Repair Bonding Agents, Tile Joint Filler, etc. and Service Provider of Water Proof Coating Service, etc. Also, there is an exchange of information & ideas with a strict adherence to best industry practices and legal conduct. The paints and coatings cover a variety of applications including protecting, decorating and finishing the surfaces of structures, buildings, equipments, etc. They also provide efficiency in surface treatments along with improved results and reduced cost. The industrial coating & paints offer both practicality and aesthetic properties. These products play an essential as well as comprehensive role in the constructive industry. 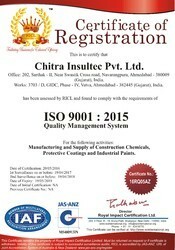 We "Chitra Insultec Pvt. Ltd. " effectively use our resources to benefit employees, customers, stockholders and communities. By continuing our thorough efforts as a profound company we create opportunities for professional development, and provide valuable resources to our members. Also, we work in the industry with the concepts of honesty, innovation, sustainability and continual improvement. We develop products that bring cost savings, reduced footprint and increased output. Manufacturing and Trading of Waterproofing, Construction Chemicals and Industrial Coatings. We have appointed a team of hard working and skilled professionals who are fully dedicated and passionate about their respective field of domain. These workers are technically specialized and highly innovative in their work and are capable in meeting the expectations of customers in a timely manner. Our efficient team understands the clients' requirements to the best of its capability and ensures to offer the products accordingly. Our team members install dynamic approaches to meet the clients demands in a resourceful manner. With the vast industrial experience and corporate knowledge, we are able to meet the diverse needs of our clients. Being a quality oriented organization we specially take care of the quality of our products and make all our dealings transparent. More over we have a strong belief in the ethical business practices which helps us in gaining the customers trust.